In the tank storage industry, product contamination resulting from product transfer is an obvious risk. Costs related to clean-up, product loss, waste disposal and reputational damage easily mount up to hundreds of thousands of euros. A cause of contamination is the incorrect line-up of valves between the storage tanks and the jetty, resulting in the loading of incorrect product or an undesired product mix. A leading company in the tank storage industry searched for a smarter solution to prevent contamination, rather than using a padlock and key to lock off hand-operated valves. Such a basic approach offers no information about the status of the valves and could lead to incorrect valve line-up when an operation checklist is carried out. They reviewed various solutions, including position indication and valve automation. They considered installing motor-operated valves (MOVs) to automate line-up procedures. Automation would make these procedures fast, easy and seemingly flawless. But automation of their large plant would also prove very costly. After further investigation, they realised that an automated system would not offer sufficient security. MOVs are operated remotely or with local controls. Remote operation is regulated by the DCS. But local operation would happen outside the control of the DCS. This leaves the risk of unauthorised valve operation. They also considered the use of position indicators on their manual valves, so valve positions could be monitored in real-time by the DCS. This solution ensures that all valves are in their correct position before loading can commence, but it cannot avoid unauthorised operation of valves during the loading process. When they discovered Sofis Valve Line-up Systems used by their colleagues in Dubai, their team felt they had identified the most robust and practical solution for guaranteeing valve positions during loading operations. 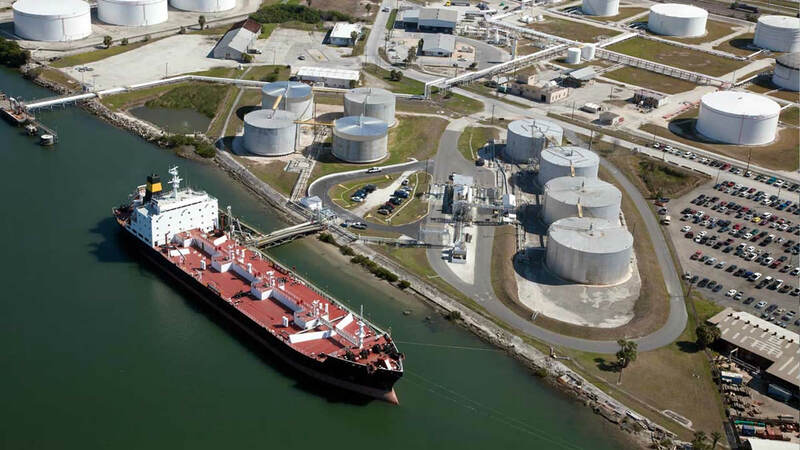 The Sofis solution to mitigate incorrect valve line-ups is found in many tank terminals around the world. The key building blocks are mechanical valve interlocks and a good Key Management System. Those manual valves operated during critical loading operations are equipped with dedicated interlocks. These double-key interlocks block the manual valves in their fully open or fully closed position. A valve can only be operated when two unique operating keys are inserted into the valve interlock, one ‘open’ key and one ‘close’ key. Upon reaching the valve end-stop, one key is trapped and the other released. The free key is then housed in the Key Management System. The tank storage company installed Key Management Systems in different locations in their plant. Operators house free operating keys in such systems. These systems control the issue of operating keys according to operator identification and input from the DCS. The DCS determines the required valve line-up based on the loading operation at hand. It then sends information to the Key Management System in the respective area about the valves that are to be released. This ensures that no valves are mistakenly operated and none are overlooked. After operating the valves, the operator returns the keys to the Key Management Systems. This then confirms the end of the valve changeovers to the DCS, which initiates the loading procedure. The tank storage company was so pleased with the Sofis proposition that the company has awarded us an additional scope of work. This involves the supply of an interface system between our Key Management System and its DCS. They also ordered a Power Wrench portable actuator to sit next to each Key Management System. This valve operation tool would help reduce the time taken for operators to complete a valve change-over. With our contamination control system, the tank terminal eliminates the risk of product contamination. They also improve the efficiency of their line-up operation. As all valve operations are authorized by DCS input, incorrect valve operations cannot happen. Operators carry out their tasks right the first time. With portable actuators, they operate valves up to 80% faster and with less physical effort. Based on real-time valve status information, the DCS automatically starts the loading operation once the valve line-up is completed. The terminal consists of three plant areas, which are all involved in a single line-up. Their Key Management System enables our customer to operate in the different areas in parallel, which saves them up to 67% line-up time. A Key Management System logs all key movements to offer advanced analytics about changeover procedures. It notices significant deviations from typical valve changeover times. It collects operational line-up and loading data, to add to big data analysis. Sofis has helped companies with optimizing their valve operations for many years. Would you like to know more about our expertise? Read our whitepaper or contact our Tank Storage specialists.